More news on the coaching carousel has arrived this weekend. While the University of Alabama is expected to hire Sal Sunseri and Jimmy Lake on defense, news has been reported on Charles Kelly of Tennessee joining Nick Saban’s staff. Tim Watts of 247Sports (BamaOnline) was first to break the information, as Kelly served as special teams’ coordinator and safeties coach for the Volunteers. 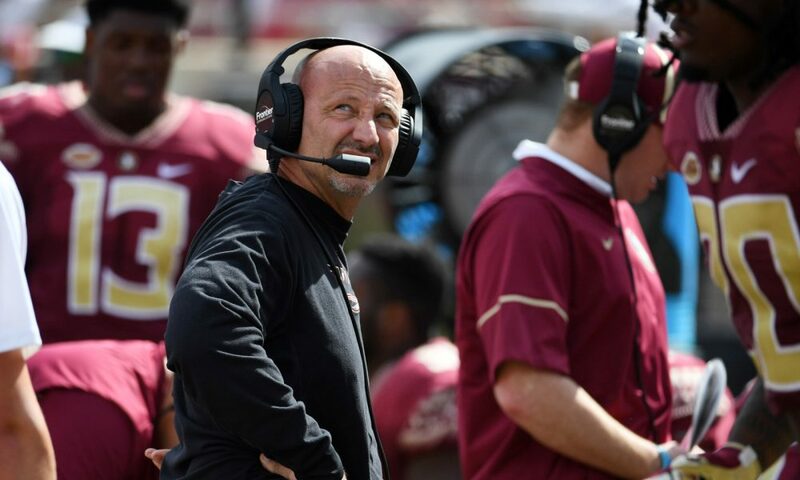 Prior to Tennessee, the native of Ozark, Ala., was a defensive coordinator at Florida State University from 2014 to 2017. He produced marquee defensive backs in Jalen Ramsey, Tarvarius McFadden and Derwin James. For now, Karl Scott is still on the Crimson Tide’s roster as defensive backs coach and the players seems to like him a lot. According to sources, Saban is more than likely to have Scott coach cornerbacks and Kelly take safeties while having a co-defensive coordinator tag. Also with the 57-year-old approaching retirement, Kelly can provide Saban’s staff with continuity for three years. In continuing with sources, Touchdown Alabama Magazine was told Kelly understands that he is more of a position coach/coordinator and is not looking for a bigger role. With news on Jimmy Lake of Washington dying down, Pete Golding is the ideal name to run the Tide’s defense in 2019. Saban and the players really like the Louisiana native. The 35-year-old has plenty of experience as a coordinator at Tusculum College (2007-09), Delta State (2010-11), Southeastern Louisiana (2012-13) and University of Texas-San Antonio (2016-17). Under Kelly, Tennessee had nine interceptions in 2018 for 124 return yards – including two for touchdowns. We’ll see what happens between he and Scott where safeties are concerned. Continue to follow tdalabamamag.com for more updates.